← 2010 Wimbledon Review: A Very Human Fortnight. Roddick Sporting New “Army” Look in Vegas. 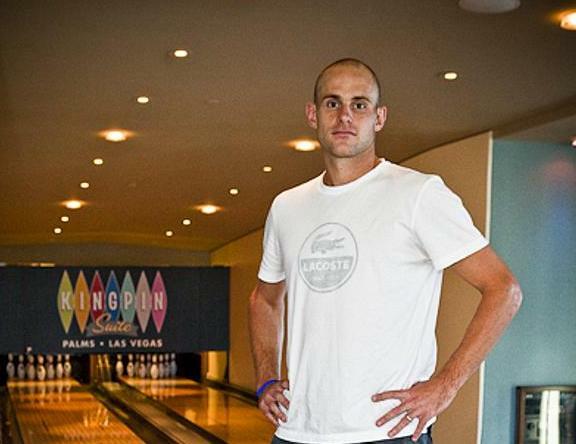 In case you haven’t seen or heard, looks like Andy Roddick’s early round loss at this year’s Wimbledon caused the American tennis star to not only seek some R&R in Las Vegas, but also try out a new look. Literally. Although staying in a bowling-themed suite might indicate a potential career change for the former world No. 1, it’s the new look Roddick sports that strikes me even more. Was his loss to Yen-Hsun Lu and the subsequent fact that Roddick wouldn’t have had to face Roger Federer in the semifinals the cause of this? Or was this Roddick’s own homage to our men and women in uniform for this national holiday? Whatever the case, let’s hope it at least inspires Roddick to have a “take no prisoners” attitude for the upcoming U.S. Open. Erik, I really, really hope that’s the case! Not a good look for Andy. BUT, I like his chances in the Open!